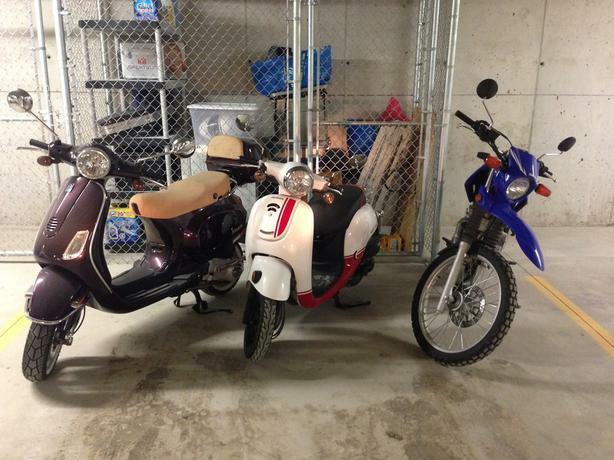 We are sad to see our Vespa go, but we would rather someone get great use out of this awesome scooter (down sizing our collection)! Ideal for city commuting, the 2006 Vespa LX 150 60th Anniversary motor scooter presents modern vehicle conveniences within a classic design. A rider and a passenger can comfortably commute around town on the Vespa LX scooter. It includes matching Vespa top case, matching seat coloured back rest, German white wall tires (and stock tires), cover, size M scorpion helmet).